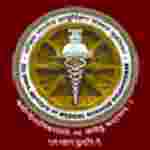 AIIMS Bhubaneswar recruitment 2018 notification has been released on official website www.aiimsbhubaneswar.edu.in for the recruitment of 01 (one) for Laboratory Technician vacancy. Walk-in-Interview 30th January 2018. Here on this page you will get the details like the Name of vacancies released by AIIMS Bhubaneswar with exact number of posts. Some other criteria like Education details, application fee and way to apply application for AIIMS Bhubaneswar recruitment 2018. Educational Qualification: 10+2 in science and B.Sc MLT (three year course) or 10+2 in science and DMLT (two year course). Interested and eligible aspirants may appear for Interview along with prescribed application form all original certificates of educational qualification, experience certificate and set of photocopies of all documents along with pass port size photo at the time of Interview.